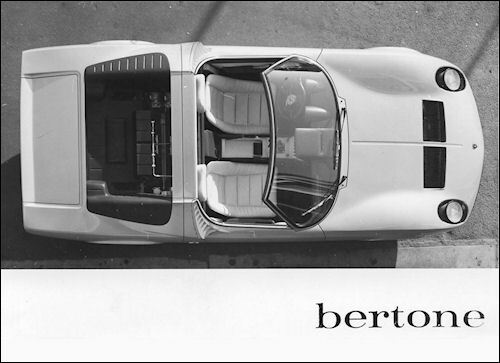 Lamborghini Miura spider presented at Motor Show in Brussels. 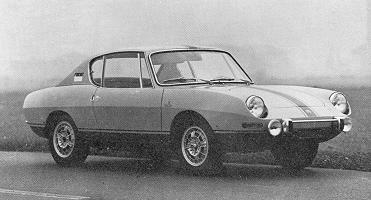 Racer Team berlinetta is built alongside Fiat 850 Spider with better trim and sold as Bertone only. 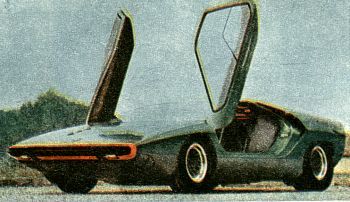 At the 1968 Geneva Motor Show Bertone presented the Panther, a racing prototype for the Brescia Corse team, destined for the Prototype World Championships.